The New York Times used Google+ Hangouts to interview U.S. Secretary of State John Kerry about Syria’s chemical weapons. 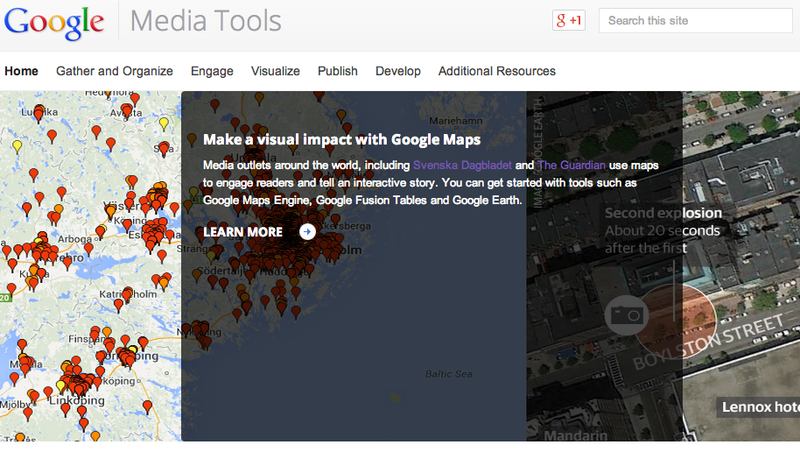 The Weather Channel used Google Earth to illustrate the damage of Superstorm Sandy through dramatic before and after satellite images and live YouTube video. And Svenska Dagbladet used the Google Maps API and crowdsourced information from readers to plot disparities in neighborhood mortgage rates, generating a meaningful debate in Sweden. 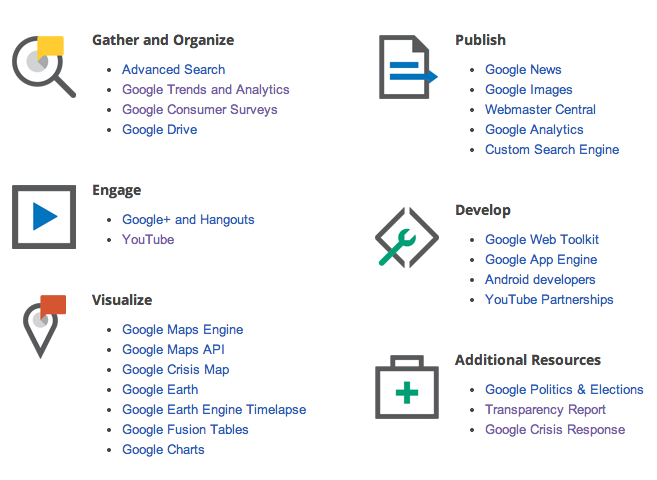 These are just a handful of ways journalists around the world are already using the Internet and Google tools to report the news, visualize data and improve their storytelling capabilities. 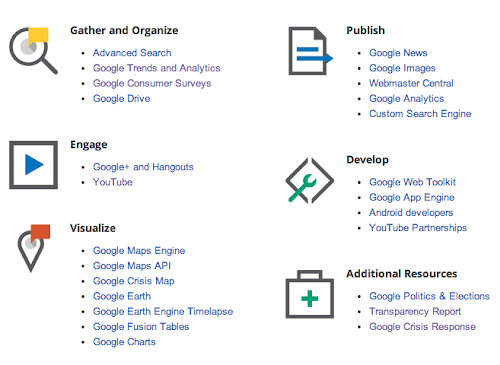 To continue helping journalists report the news in new and compelling ways, we’ve launched Google Media Tools, a centralized hub aimed at empowering journalists of all skill levels with more ways to connect with their audiences and communities. The site—which we unveiled last week at Online News Association ‘13 (ONA), a premier digital journalism conference—features a variety of ways to do everything from research to developing to publishing. There are many tips and tricks to make technology do some of the heavy lifting in the daily lives of journalists. The site also showcases the power of the Internet overall in reaching new audiences and giving journalists more ways to make an impact. We’ll add more resources including case studies, tutorials and expanded content in the coming months, and will soon launch the site in other languages as well. This entry was posted on Monday, October 21, 2013 at 6:00 AM. You can follow any responses to this entry through the RSS 2.0. You can leave a response.